Can You Get an Educational Leadership Degree Online? It is absolutely possible to get an educational leadership degree online, because many schools offer this popular master’s degree through distance education. Below provides an overview of these programs and their curriculums. Most educational professionals pursue an online master’s degree in education leadership to become principals, school administrators or vice and assistant principals, according to the National Association of Secondary School Principals. These programs are designed for working educators who are prepared to devote up to 20 hours to their studies every week. It takes two to two and a half years to complete an Online Master’s in Educational Leadership degree program. These programs will explore decision making models, collaborative community strategies and student and teacher performance assessment theories. An educational leadership program will also develop the competencies required for effective educational discipline, management and administration. When student’s start to get an educational leadership degree online, they will study basic classes that introduce teacher leadership within the framework of school systems. A teaching as inquiry course will guides educators to incorporate effective teaching and learning styles into educational systems and procedures. 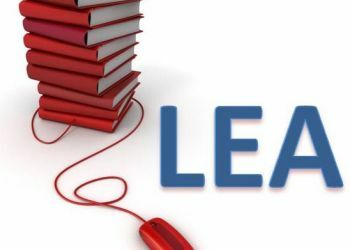 Educational leadership programs always include courses that examine learning organizations, technology implications and motivational strategies. There will be a course that will train post graduate students how to best supervisor and communicate with contractual teacher. Related to this, a staff development class will illustrate how to design, implement and evaluate continuing education programs for teachers. Other standard courses will be curriculum design and school improvement systems. There are usually a number of specializations available with an educational leadership degree. First, a teacher leader concentration allows the individual to continue teaching in the classroom while they pursue additional roles, such as a lead or mentor teacher. Coursework will explore topics that include learning, teaching and curriculum design theories. A school leader concentration is the most popular choice for prospective principals. These programs are typically created to meet the state certification requirements to become a school principal. Some programs even offer a year-long internship that provides students with opportunities to apply their newly learned knowledge in the field under the supervision of mentor principals. There are also non-certification specializations for principals who plan on working in private, charter or international schools. Depending on the degree specialization or the preference of the postgraduate student, there are many interesting classes that will cover advanced topics. For instance, a legal compliance class will explain how to establish and maintain positive relationships with local, state and federal agencies. Also included will be an introduction of the legal rights and responsibilities of parents, teachers, administrators and school board members. An inclusive education class will provide an in-depth analysis and discussion of the principal’s role in creating and sustaining an inclusive learning environment that embraces diversity. A financial management class will cover appropriate budget concepts and techniques for educational administrators. Overall, any student who wishes to get an educational leadership degree online will be able to select from many outstanding programs, some of which offer specializations and unique coursework.